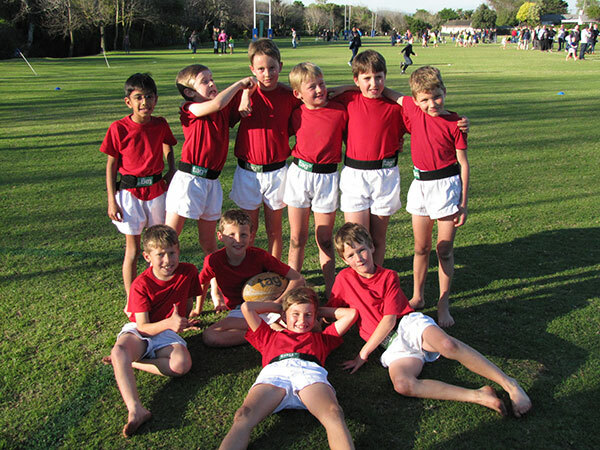 Rugby is played during the winter terms. Fridays are exciting days with the boys barely able to wait for the end of the day when they change into their different coloured T-shirts, remove their shoes and socks and head for the rugby skills practice on the field. Enthusiastic dads are joined by Brendan Fogarty and some of the stooges from the Prep School in the coaching of over 100 boys.